Can protected areas for fish benefit both fish populations and fishing communities? This is a question the World Wide Fund for Nature (WWF) and FISHBIO have been investigating in Lao PDR, and address in a new report. 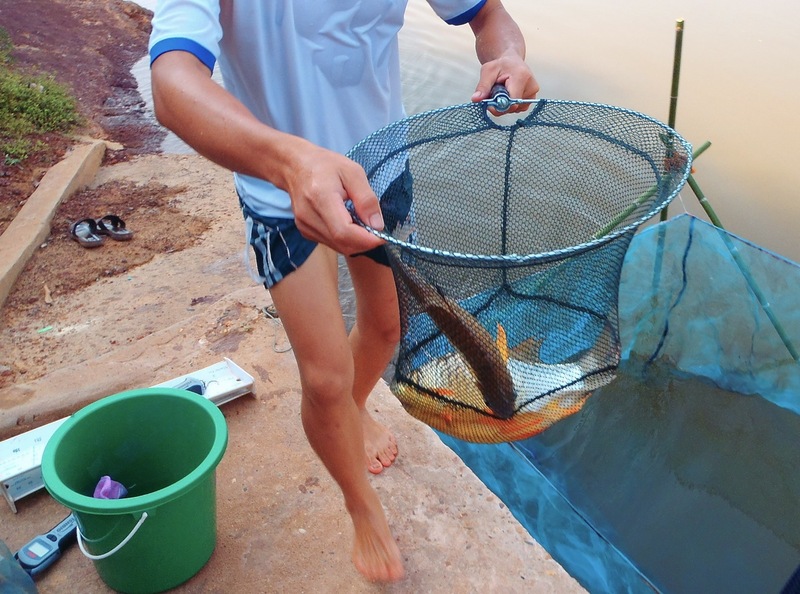 In 2004, WWF officially established Fish Conservation Zones (FCZs) in the Nam Kading River, Central Lao PDR, as part of their Community Fisheries Program (ComFish). The goals of these no-fishing zones are to conserve aquatic biodiversity, as well as support community food security, household income, and sustainable livelihoods. 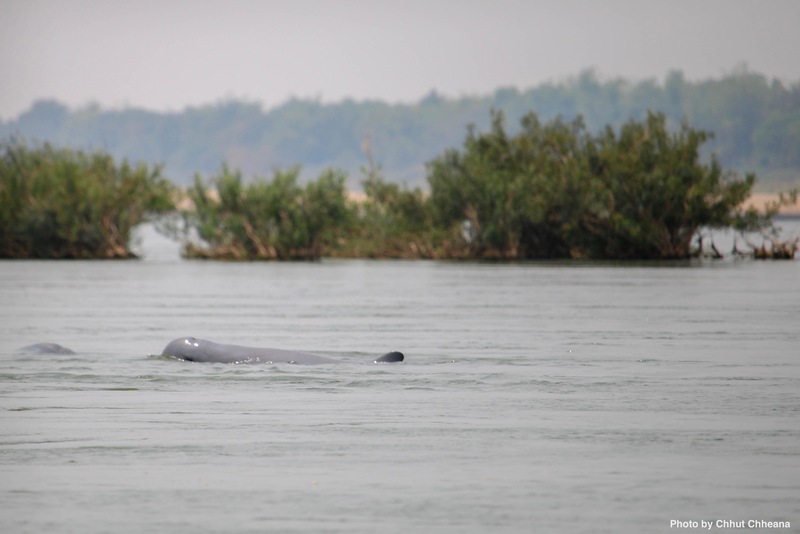 ComFish has established more than 171 Fish Conservation Zones in the mainstream Mekong River and six major Mekong tributaries. 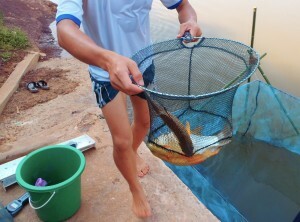 WWF wanted to know whether two different FCZs in the Nam Kading actually benefited the fisheries of nearby communities. 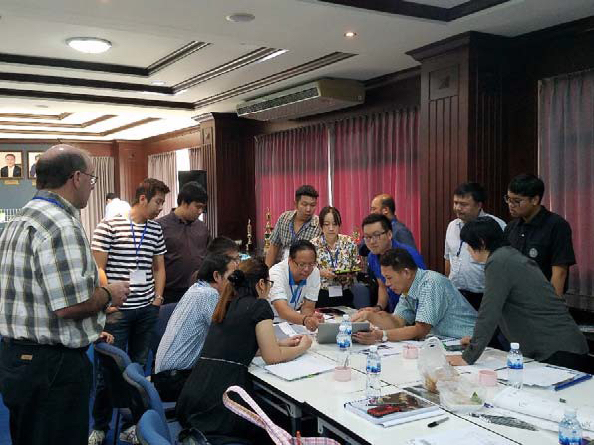 To answer this question FISHBIO worked with WWF, the Lao Department of Livestock and Fisheries, and local officials to develop a mark-recapture fish tagging study. 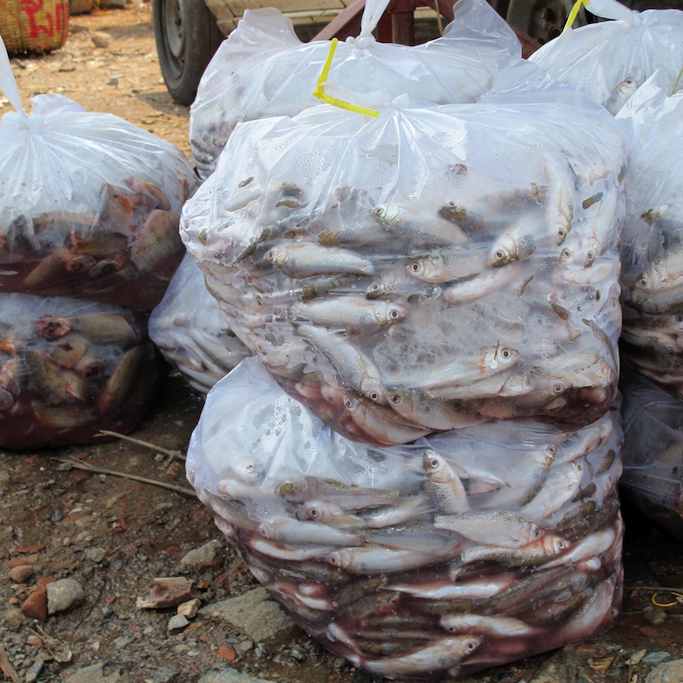 The goal of the study was to evaluate the spillover contribution from the FCZs to fisher catches in nearby villages. ‘Spillover’ is the concept of fish increasing in abundance within a protected area then moving (‘spilling’) outside of the protected boundaries, where they can be caught by fishers. Protecting fish in an FCZ is like creating a fish savings account, and spillover is like the interest that can be withdrawn. 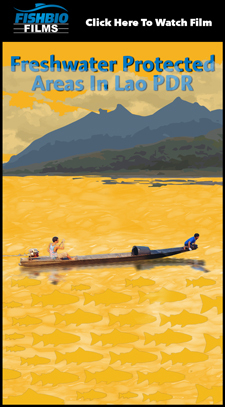 This is a commonly cited benefit of fish protected areas; however, this concept has rarely been tested scientifically in Lao PDR. 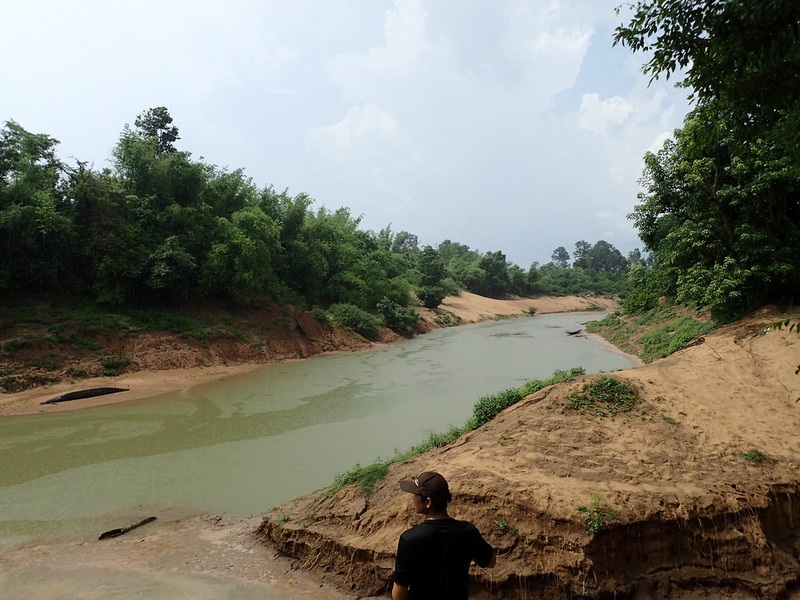 This study found evidence to support the idea of spillover in Nam Kading, and a final report of the results is now available in English and Lao. 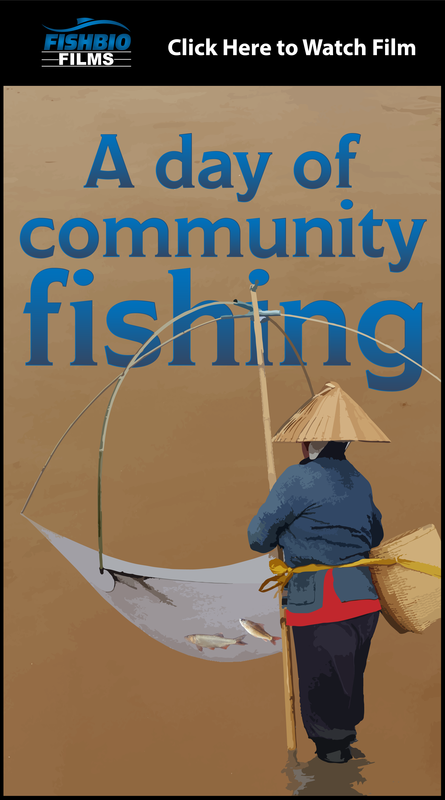 Before beginning the tagging effort, WWF conducted outreach in eight villages along the Nam Kading River to inform fishers about the study and encourage them to return tagged fish for a small reward. 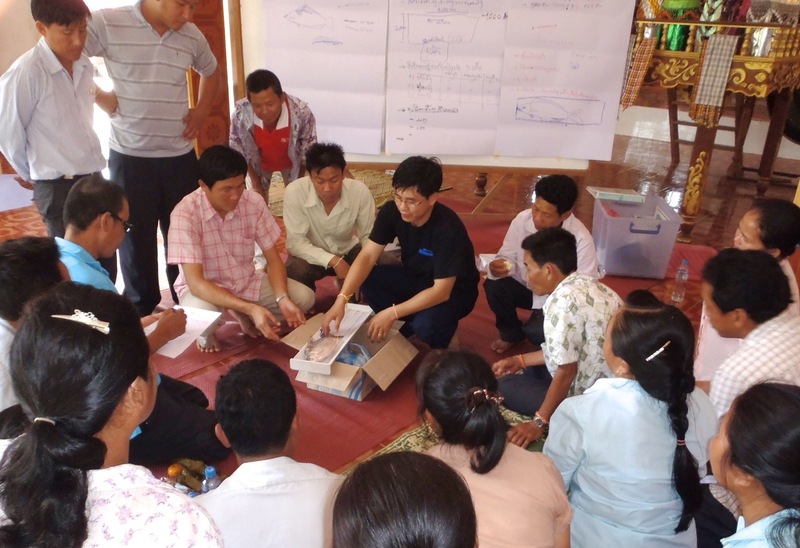 Members of the Lao Women’s Union were trained to collect information about where and when tagged fish were recaptured (see Lao women in fish research). During the fish tagging effort, a total of 997 fish from 32 fish species were captured inside the two FCZs. Each fish was tagged with a t-bar anchor tag (often referred to as a “Floy” tag) printed with a unique ID number, and was returned to the river at the same site. 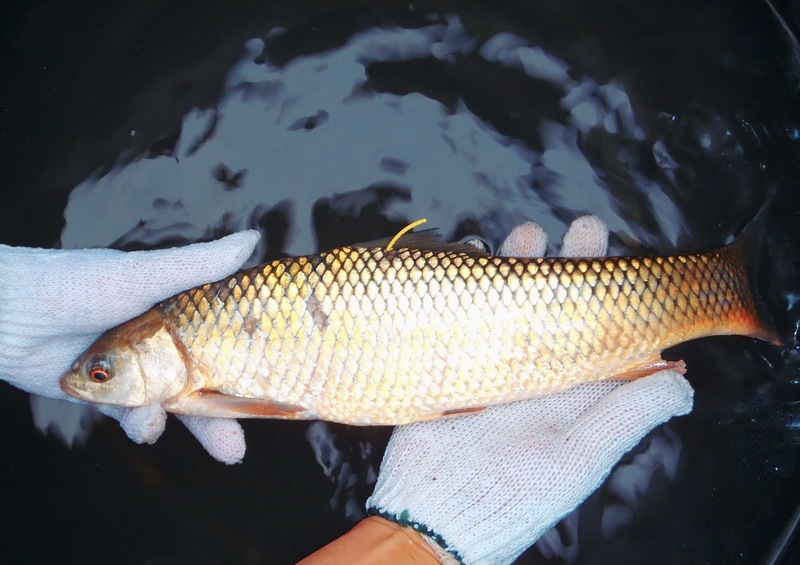 The most common fish species caught and tagged inside the two FCZs were Amblyrhynchichthys truncatus (known as “pa mang” in Lao), Barbonymus schwanenfeldii (“pa vienfai”), and “pa pak,” which includes several difficult-to-distinguish species from the genus Hypsibarbus. 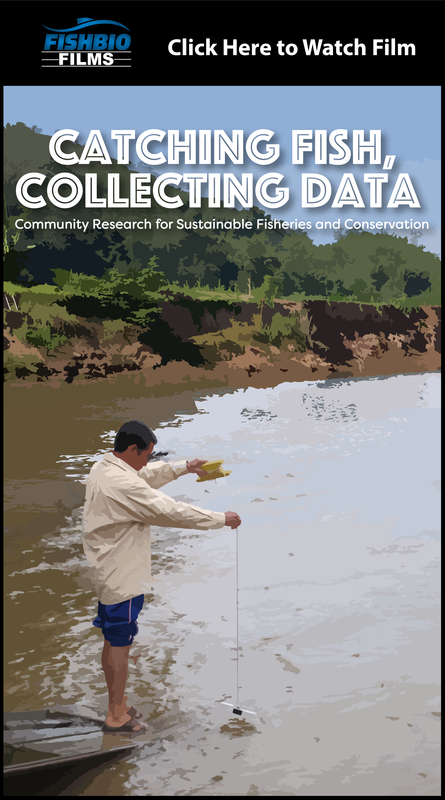 After one year of participatory village research, local fishers recaptured and reported about 10% of the total tagged fish, representing eight fish species. Most fish were recaptured within 2 km of the FCZ where they were released, but the maximum distance for a recapture was 10.7 km. 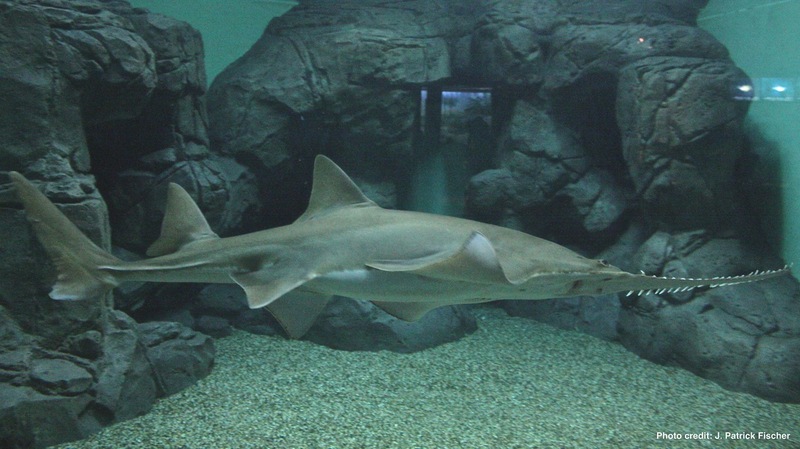 The two most abundant fishes in the tagging effort, “pa pak” and “pa mang,” also dominated the recaptures, and had recapture rates of 14% and 10%, respectively. While “pa vienfai” made up a large proportion of the fish tagged inside the FCZ, only 3% of these fish were recaptured outside the FCZ. This low recapture rate may be due to the behavior of the fish (e.g., it has a small range and is unlikely to move outside of the FCZs), or may be because the species is unusually sensitive to handling and did not survive after tagging. The results of this study show that at least eight species of fishes do move outside of FCZs, and this spillover can contribute to nearby fisheries (within at least 10 km). Because the fish tagging focused on a transitional period at the beginning of the rainy season, when many fish species are thought to migrate, it is possible that the fish captured for tagging were just briefly migrating through the FCZ and were not typical inhabitants of the habitat. The FCZ would still protect these migratory fish from fishers during their passage, but this would not constitute the typical definition of a “spillover effect,” which is caused by the density of a fish population inside a reserve reaching capacity, and the adult fish ‘spilling’ out of the reserve. To clarify whether different fish species are remaining in the FCZ habitat or just passing through it, a more extensive study could be conducted to tag fishes over a longer period of time, with periodic surveys of the FCZs to estimate the number of tagged fish remaining inside. FISHBIO and WWF hope to continue investigating the dual role FCZs can play in protecting fish and sustaining fisheries and livelihoods.